Since both are in politics, their fans are taking advantage and escapes from Traffic Police. This is a real time example for this... Isn't it? 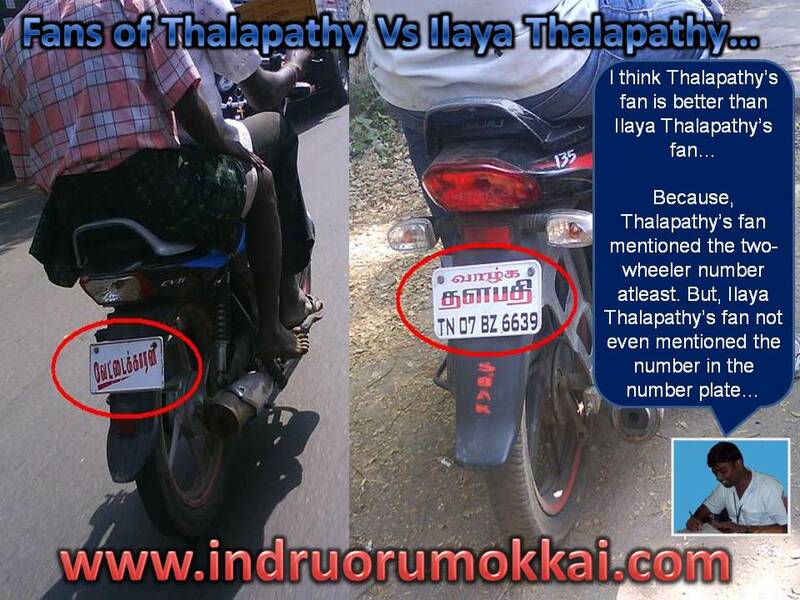 Hope you all aware about the milestones crossed by our Indru Oru Mokkai. Now, we've crossed another milestone. Yes! Our post is displayed in Times of India's website. Our post about Veerappan displayed in Times of India website. The screenshot is available below. Hope you all are aware about 'what is a firewall' and using best firewall in your Organisation. Technically, a firewall is a device or set of devices designed to permit or deny network transmissions based upon a set of rules and is frequently used to protect networks from unauthorized access while permitting legitimate communications to pass. 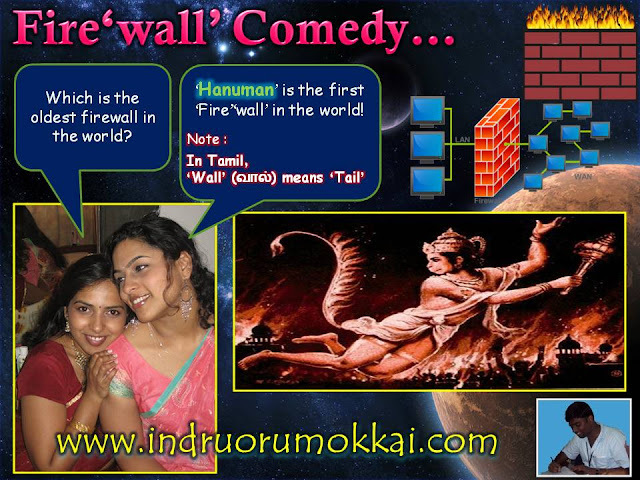 So, being a Indru Oru Mokkai viewer, we should know about the first firewall in the world. Enjoy this Firewall Comedy... sorry... Firewall Mokkai!